As a guy living in a city, I prefer bicycles not because they are eco-friendly or fun to ride, but I can pass through the traffic jams with ease riding a bike. That is my need for a bike but yours might not be similar to mine. Instead, you might prefer riding on a difficult rocky road which is a completely contrary need if I compare that to my necessity. 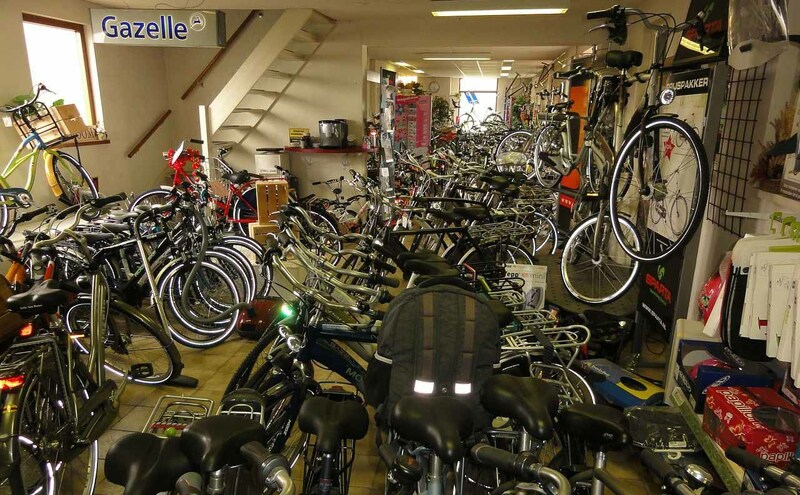 Therefore, if you enter the bike shop without knowing about the bikes, you will not get far. Rather you need to know how to choose a bike according to your needs as modern bicycles are developed for various applications. For this reason, anyone who is thinking of buying a bike should pay attention to their choice. Because you don’t want to get stuck with the wrong bike for the activity and get yourself injured in the process. How to choose a bike? Seems a tough task but isn’t only if you are clear about its purpose. 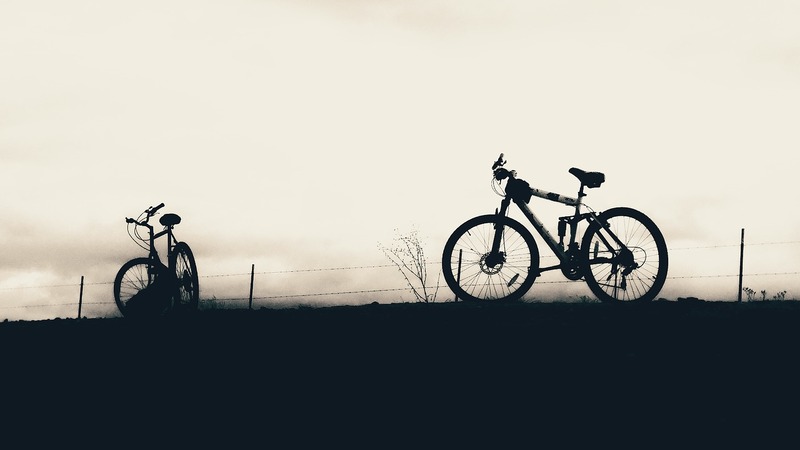 If your requirement is a bike for daily use for the city life, then you won’t need to spend too much money on a mountain bike as it seems ridiculous. But if the aim is to ride through the rough mountain tracks or practice for racing events then a normal bike won’t be a clever choice. That’s why I’ve made a list of bikes according to their specialties. This will help you find the right bike as per to your activity. First of all, you need to understand what actually a road bike is. Many confuse them with the common bikes that we regularly see on the roads. But road bikes aren’t that. In reality, they are bikes built for extreme sports use on the roads. If you’ve ever watched the Tour de France, then you know what these bikes actually look like and what they are capable of. And if you wish to do the same then you have to know how to choose a road bike. As you are aware that they are manufactured for the racing purpose. So, they are as light as they possibly can. That is why you won’t find fenders, carriers and even stands in many road bikes. Because manufacturers ultimate goal for such bikes is to shed as much weight as possible to optimize for speed. Even the saddle of the bike positioned is distinctive as the handlebars of a road bike are swinging down and the narrow saddle usually higher than the handlebar. This is done to give the rider an optimal position of sitting to cut through the air and achieve the highest speed. So, if you’re a cyclist this sounds good to you but not so for people with back problems. Plus, these bikes are good for the roads but not far off paved roads as the tires are extremely thin. 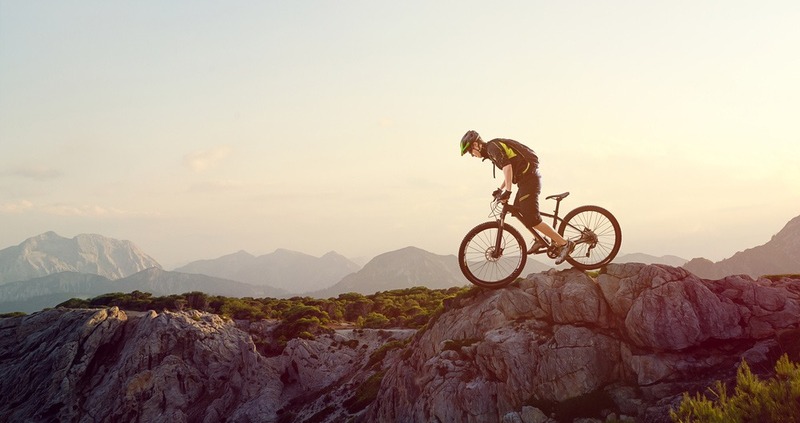 Mountain bikes are built for the unforgiving trails and uneven terrains. They are identified for their support on muddy, slippery paths and to dampen the vibrations of the ride through graveled roads. They come with good suspension, exceptional braking system and most importantly the design of the bikes make them a good fit for the city roads too. And as they are built for the mountain roads, the frame of the bike can endure a lot of bashing without any problem. However, like the road bikes, they are also in truth sporting vehicles. They can be used on normal roads but not a suitable choice as you often might face challenges on the road while riding one. But if you’re looking for adventure on rough terrain, want to conquer mountains by bike, do not shy away from the adrenaline rush these bikes have to offer. Before the beach buggies of today, we used to ride on the beaches using the cruiser bikes which are also known as “beach cruiser“. They are characterized by their unusual curved frame and the thick, soft, wide balloon tires. So, for strolling on wet sand on the beach they are just excellent. But now they have broken the stereotype and conquered the entire world as you can see them on roads too. And why not? As the upright seating position gives you relaxed, casual riding feeling plus they look great. Their wide tires swallow every bump and let the driver hover like they are on clouds. May not be sporty as they come with very few gears. You will neither reach top speeds nor Climb Mountains with them. 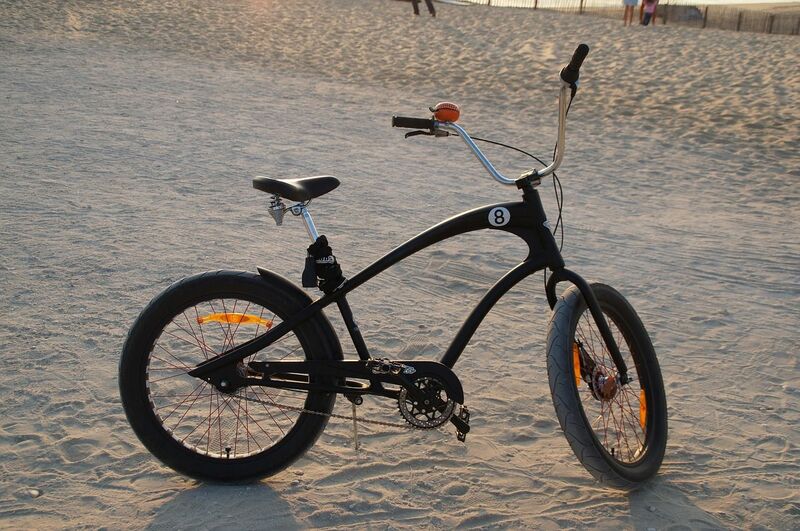 Still, anyone who enjoys the unique design and does not consider his or her bicycle to be a pure sports equipment will quickly fall in love with a cruiser bike. How to choose a hybrid bike isn’t the question you should look for if you don’t know what it actually means. You’ve already seen road bikes and mountain bikes.And the hybrid bike is those that capture the best of both worlds in a single bike. 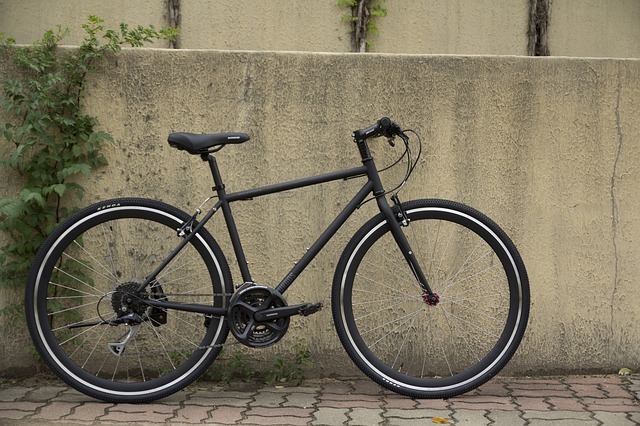 Such bicycles are suited for city and country road as you can ride through the gravel or solid forest paths and do not take offense when you drive over a curb. With a hybrid bike you can comfortably go for longer trips, but also can use as a means of transport. Design wise they resemble the mountain bikes. And they boast more similarity to mountain bikes than road bikes. But still, they deliver the excellent characteristic of road bikes with great speed. That is what hybrid bikes stand for. They capture the essence of the different type of bikes as you can see. So, if you do not want to be restricted to one single use with your bike then this is perfect for you. You can get a hybrid bike that can do a lot of things on every terrain. Except, if the extreme level of off-track biking or road biking is your ultimate intention then such bikes only would disappoint you as they are the jack of all trades but master of none. City bikes are normal bikes with nothing much fancy going on. The ultimate goal of using such bikes is for short transportation use. They come with all the basic equipment like bicycle bell, light, retro-reflector for full traffic convenience, as well as fenders and luggage carriers to make the rides useful. 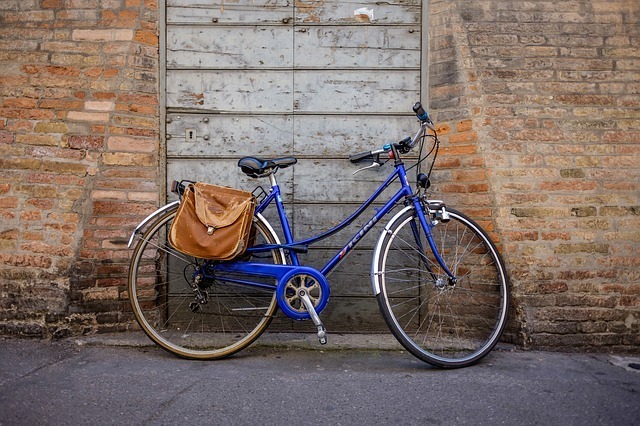 City bicycles are suitable for people who want to use the bicycle as an alternative means of transport but do not have too much sporting ambition. So, if you like things uncomplicated and not looking for the latest trend in terms of equipment or technology in your bicycle, a city bike is a good, cost-effective solution. Also unlike other bikes, a variety of people can enjoy them as senior citizens. And even for ladies city bicycles have specially shaped frames, which facilitate the ascent and descent from the bicycle. They are comfortable, usually, have a well-padded saddle and allow an upright, comfortable sitting position. And last but not the least; they are a treat to ride. 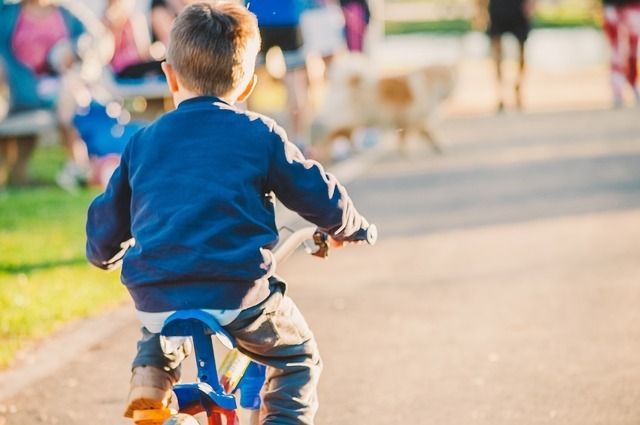 When it comes to your child’s bike, the things that you need to consider are quality and safety. They don’t need bikes with lots of gear but need a bike with good break. Also, the frame needs to be strong as kids tend to fall a lot. Furthermore, don’t forget to consider the size of the bike. You really don’t want to give your kid a bike that he can’t control. They need to be comfortable with their bike. But if you think your kid can handle bikes pretty well then you can even go for mountain bikes as these bikes are manufactured for kids too. Such bikes are suitable for kids needs in general, plus kids with great cycling ability can get the best out of them too. The decision needs to be made by you about which one you might buy for your kid. You either can go with the traditional kid’s bike, or get him something that might last forever. But whatever you choose for your kid, don’t forget to buy helmets and protective gears to keep them safe and sound. 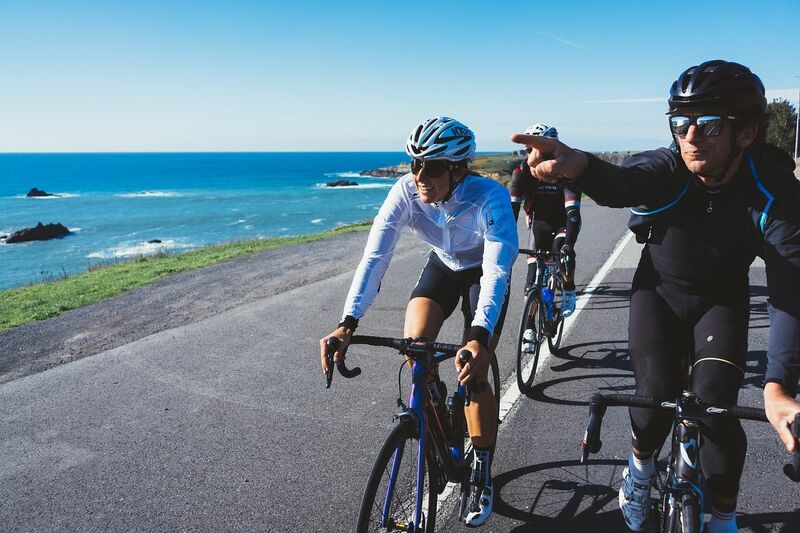 From the casual fun riding vehicles to the sports veterans, you have been informed about all types of bicycles there is. You know which one is fast and which one does the job on all type of tracks. You know which you want if you prefer comfort and which you might get if you want the thrill of riding. So, making the decision wouldn’t be something hard as you now understand how to choose a bike as you have got all the knowledge. Now it is all up to you. 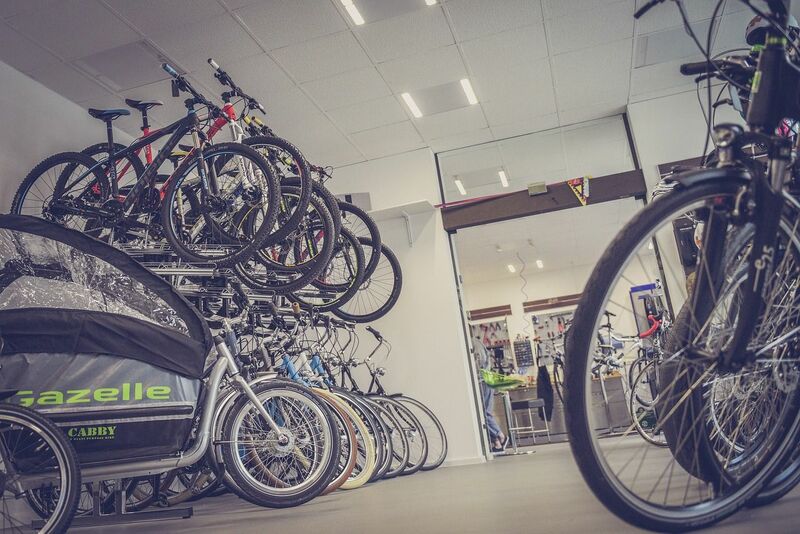 Choose the bike that makes sense for your necessity. And whatever your choice might be, make sure to be smart about it and don’t forget to ride safely. I may be deemed an expert with cycling, but I also just love to do it too. I’m happy to share my own experience with anyone and everyone, and hope that the information I can give you will help you fall in love with cycling as well.